Now that the holidays are over, children may need a few reminders on how to interact in a positive way during therapy sessions, in the classroom, or at home when doing homework. Try reflecting on what behavior management strategies worked during the first half of the year and if there are new ones you may want to implement. Below are some strategies that can help prevent problematic behaviors before they start to make it a great homework, therapy, or classroom session for everyone! 2. At the beginning of a session provide students a visual schedule of what will happen in therapy that day. This way students see what is coming next and when the session will end. You can create these on smart boards, or on a laminated piece of paper with velcro to attach various icons for each session. 3. Keep materials organized and easy to find for sessions. This helps decrease student’s down time giving them less time to get off task. 4. Be specific when giving praise. Instead of telling a child they are doing a good job, be specific about what they are doing well with. Specific praise may include complimenting them on how well they are staying on task, listening to the therapist by looking at her, or taking turns with other students in the group. 5. Figure out reinforcers that motivate students. Ideas for rei nforcement systems include clip charts, sticker charts or a points system to earn a reward that the student states, such as lunch with the therapist, a toy car, or ice cream. 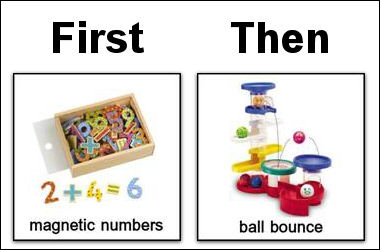 For students who need more immediate reinforcers, you could use a first then schedule with a reward, or a system of earning 5 stars in order to earn a reward. Depending on the needs of the student the reinforcement schedule could be continuous (reinforcement after every target behavior) or intermittent (reinforcement after some behaviors but not after each one). 6. Teach Students how to manage frustration through teaching calm down strategies, reading them a social story about what to do when they are frustrated or upset, or teaching them how to use positive self talk to walk themselves through the steps to handle a situation. 8. 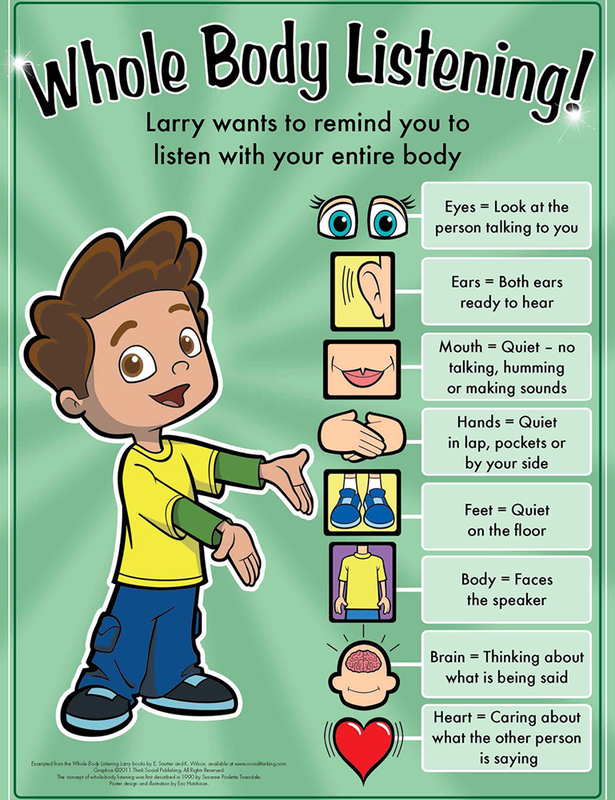 Teach self monitoring through activities such as The Zones of Regulation program. Go to http://www.zonesofregulation.com/index.html to learn more about this program.